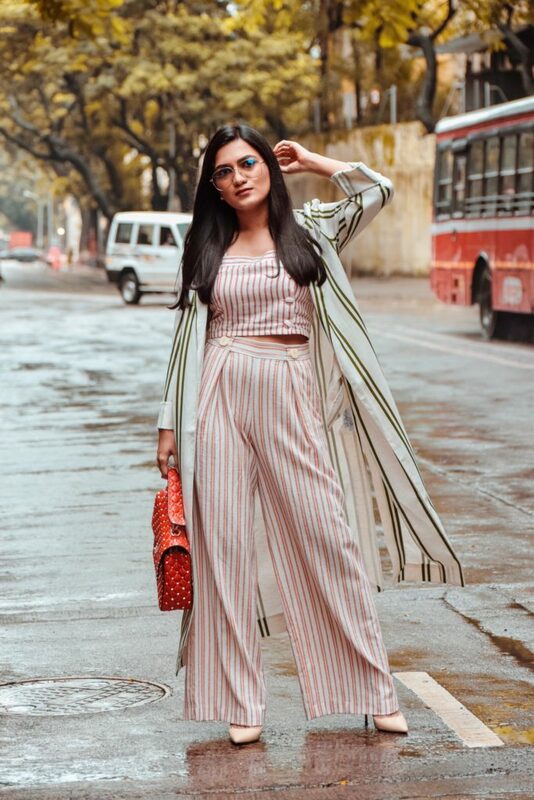 I have been obsessed with co-ords (aka two piece) this whole summer and have also experimented with quite a few styles from solids to stripes to florals. Now that almost every other fashionista is hooked on to this trend it’s time to up your co-ords game. With the approaching transition from one season to another it will be even more exciting to see updated versions of this trend. While we are in this transitional phase you can experiment with pieces from your existing summer wardrobe and pair them with latest styles. 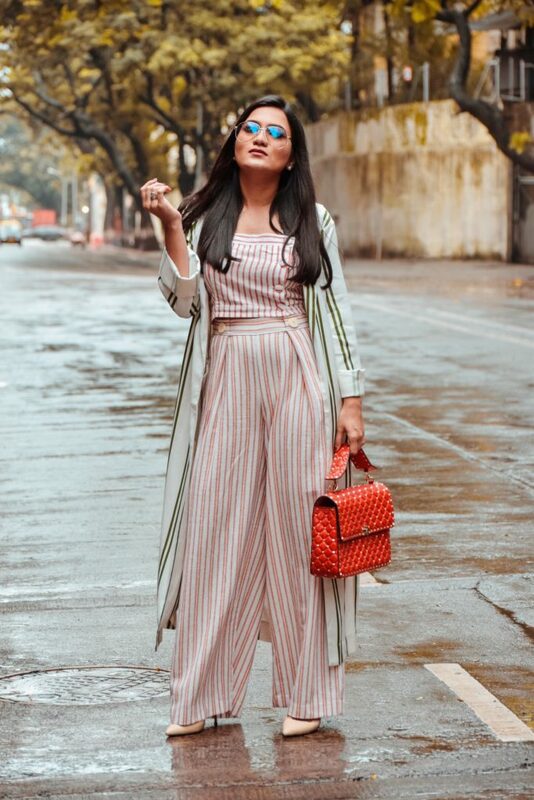 For this outfit I decided to club three different striped pieces which are on similar lines like similar fabrics, matching white and red color stripes and the button details. 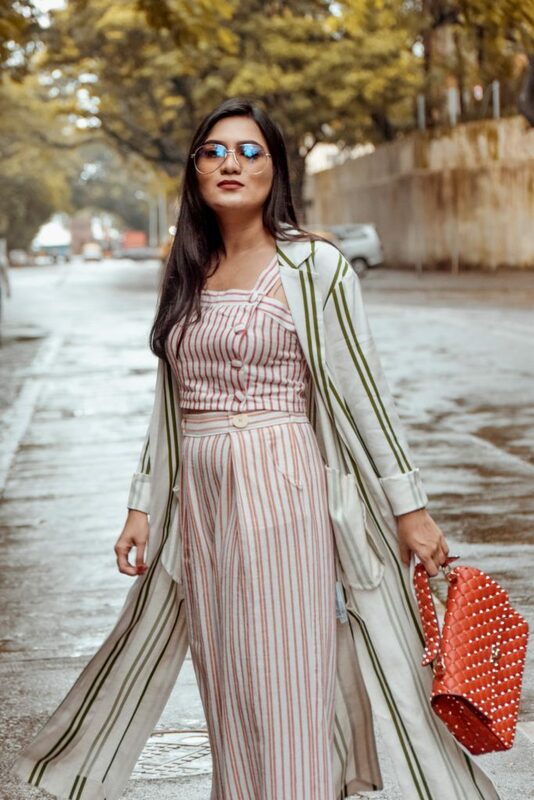 Layering with a green striped linen long jacket to add a subtle contrast to the look and completed the outfit with a pop of red.